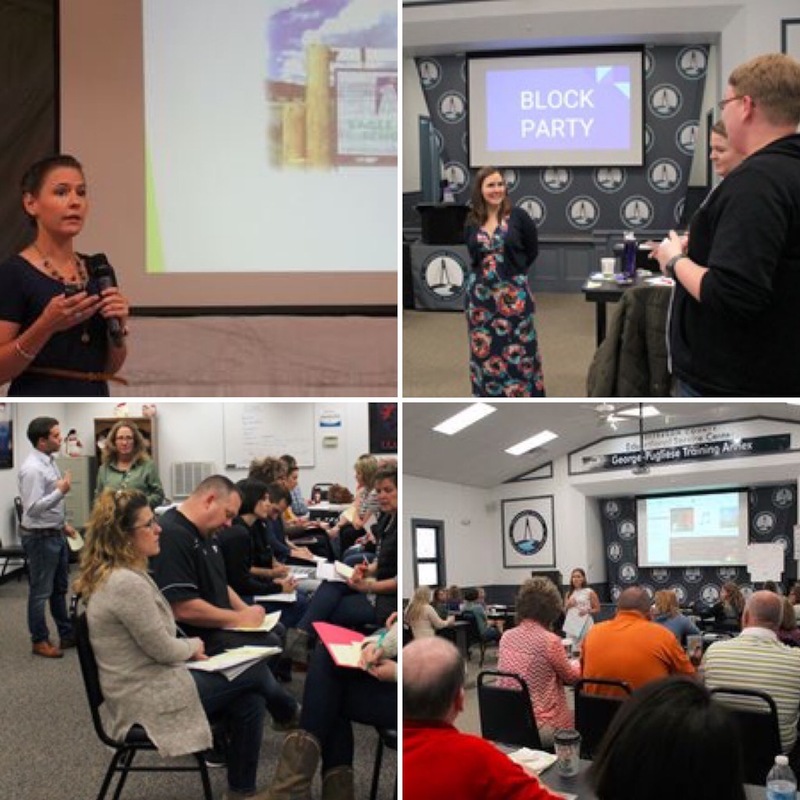 As our 76th trimester gets underway at Eagle Rock School, our Professional Development Center continues to host and facilitate the needs and opportunities of educational organizations around the country — with 30 such events on the calendar for the trimester at hand. iLEAD, Castaic, Calif.: Founded 10 years ago in the Santa Clarita Valley area of Southern California, iLEAD charter schools focus on project-based learning and student-led assessments to improve the quality of education. Dan Condon, Eagle Rock’s Associate Director of Professional Development, spent two days with Empower Generations (a charter school that supports pregnant and parenting teens) and Innovation Studios (a high school with a hybrid learning environment of human resources and technology). Dan’s objective was to cover enduring understandings and learning targets with the two program’s instructors. 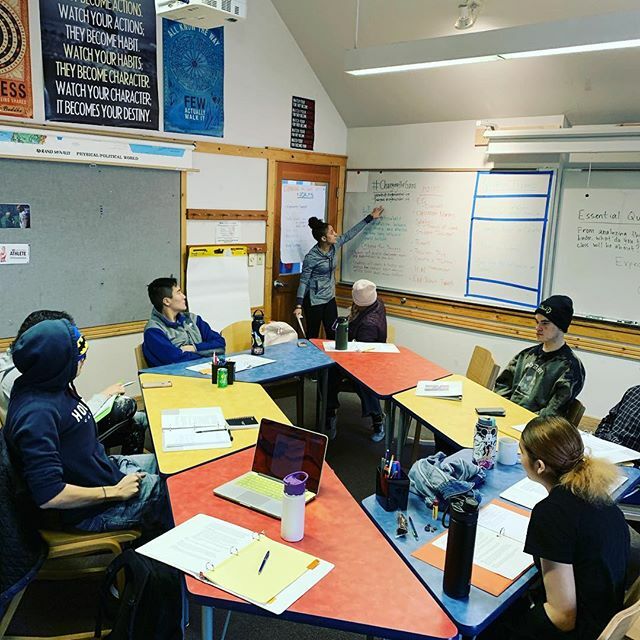 I Have a Dream Foundation (IHAD), Boulder, Colo.: With the objective of assisting low-income students to and through college, iHAD’s seeks to provide a long-term, comprehensive educational and cultural enrichment programs to members of Boulder’s student body. 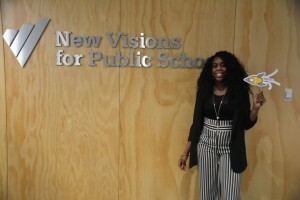 Dan Condon was on hand to provide support for launching professional learning communities within this organization. Eagle Rock School students and faculty members are busy rehearsing for a series of performances of the Tony Award-winning 1975 musical, “The Wiz,” which are scheduled in Estes Park at month’s end. Our production of “The Wiz” (March 31-April 2, 2016) is an urban retelling of L. Frank Baum’s 1900 tale, “The Wonderful Wizard of Oz,” using Motown, Funk and Soul music to rework the story into the context of modern African-American culture. A film adaption of the show was released in 1978, starring Diana Ross and Michael Jackson. Eleven talented Eagle Rock students and four staff members will perform in our staged version, backed by a live four-piece professional pit band. Meghan Tokunaga-Scanlon, Eagle Rock School’s Music Instructional Specialist, directs the show, with co-direction by World Languages Instructional Specialist Brighid Scanlon and musical direction by 2015/2016 Public Allies Teaching Fellow Michael Grant. 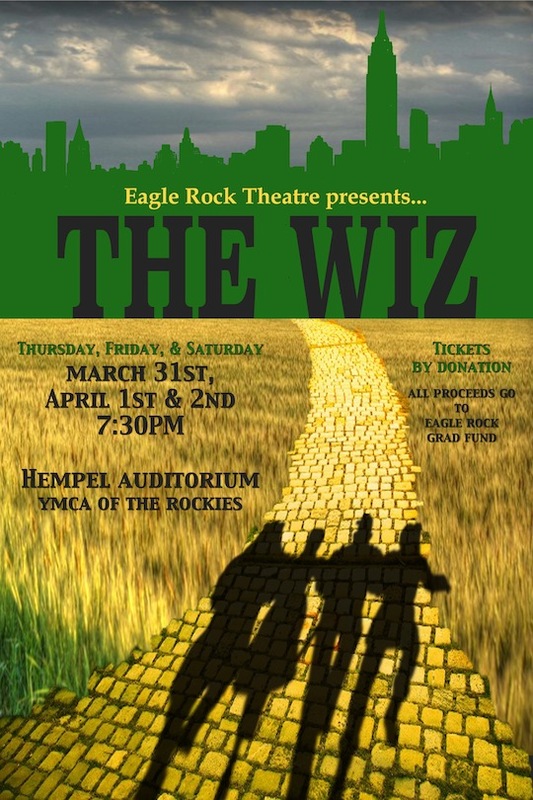 Performances will be staged beginning at 7:30 p.m. on Thursday, March 31 as well as Friday and Saturday, April 1 and 2 at the Hempel Auditorium within the YMCA of the Rockies in Estes Park. Admission at the door is “pay what you like” and all proceeds benefit the Eagle Rock Graduate Higher Education Fund. But we digress. The story of Dorothy and her road trip to Oz has become known worldwide for its themes of home, belonging, belief in oneself and freedom. “The Wiz,” with its original premiere in 1975 with an all-black cast and African-American styles, boldly showed that this classic story belongs to everyone, with audiences of all races flocking to watch productions of “The Wiz” over the past four decades. In addition to be culturally empowering, it is a “joy machine,” gorgeously designed, with quick humor and irresistible melodies.